One of the most important aspects that we can learn about the endless Chinese culture has to do with a fundamental part of everyone’s life: taking care of one’s health. The way that Asian populations, and especially the Chinese, have developed their approach to everything connected to the body’s well-being and curing sickness is based on very different concepts than that of which we’re used to. Their approach to these themes that are so fundamental to individual and social life has developed into its modern form by following a route that had its beginnings in the dawn of civilization, yet its basic features remain unaltered, giving proof of its resiliency and effectiveness. This approach is still widely practiced, despite scientific discoveries made in the 19th Century that brought about the development of a different type of medicine that took root throughout the world to the point of becoming the commonly accepted model for both various populations and governments. However “modern” medicine has not completely supplanted the traditional form, which has remained in use as a valid alternative for those seeking a system based on the laws of nature more than those of chemistry. In this article I will briefly introduce what today is called “Traditional Chinese Medicine”, abbreviated as TCM, starting with one of the features that even today is considered the main source of all knowledge regarding what is still used as a starting point of any present, and presumably future developments to the point of being called, from more and more parts, the “bible of Chinese medicine”: Huang Di Neijing. The literal translation of the book’s title is “the internal energy of the Yellow Emperor” and is generally translated as “The Yellow Emperor’s classic of internal medicine”. Many translators though use the formula “the medical bible of the Yellow Emperor of ancient China”. The use of the term “bible” is due to the fact that its considerations have lasted the test of time and scientific discoveries, but also likely because its main character is considered the forefather of the Chinese people: the mythical Yellow Emperor, Huang Di. In fact, although Huang Di is a real historical figure, over the centuries he has assumed a mythical, superhuman character that has transformed him, which has often happened with prominent figures of Chinese history, into something quite like what we would consider a god in our society. The work is composed of two books, each of which consists of 81 chapters. It is arranged in the form of a dialogue (a recurring theme in Chinese literature of the time) between the Yellow Emperor and two of the most famous and influential doctors: the mythological Chinese doctor Qibo and the legendary acupuncturist Shaoyu. The first book is called “Suwen” and it contains a description of the nervous system, from the main and collateral meridians, also offering a quick overview on the principles of acupuncture. The most consistent part of the book focuses on the main aetiological principles of TCM, analyzing the causes of sickness and then suggesting ways to treat them. The second book is called “Ling Shu” and focuses mainly on acupuncture, explaining in detail the principles and methods of application, going so far as to analyze the various types of needles and tools to use. In this article I will go on to present the first book which is introductory to understanding the second, which is very specific and more suitable for work staff: in effect, when talking about the “Huang Di Neijing” without further specification, it’s usually referring to the first book, the “Suwen”. The “Suwen” begins with an explanation of internal organs, framing them in the holistic concept and explaining the correlations among them with the 5 elements (water, fire, earth, metal, wood), the 5 tastes (bitter, sweet, salty, sour, spicy), and generally with the entire world around it. It then develops by considering the correlation between the understood natural environment such as the changing of the seasons and the influence of climate and food on the human body. From these basics it then continues explaining the genesis of various illnesses, saying that these are generated by the imbalance or lack of circulation of vital energy (the Qi), whose ability to circulate and whose abundance or scarcity determines the individual’s ability to defend themselves against pathogenic agents. A good part of the book deals with explaining how to live a healthy life and prevent the onset of sickness by giving a quantity of practical advice on how to manage nutrition and how to adapt their body and lifestyle to the changing of the seasons depending on age and various details on the subject. It also analyzes the treatments and cures for various sicknesses. Let’s now discover the main concepts, which have been changed in full by modern TCM. 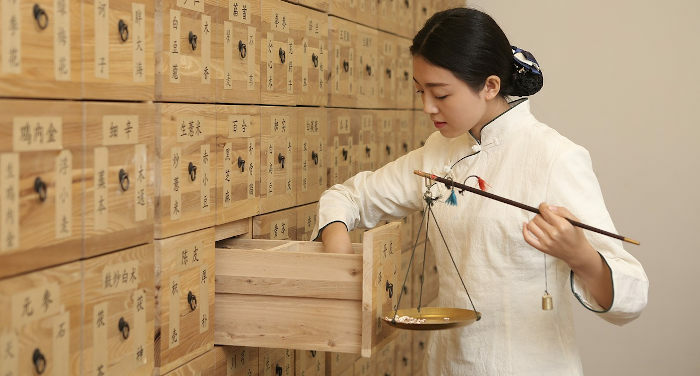 As mentioned earlier, for the first time, the fundamental concepts of TCM were put down in black and white in the book which still makes up the starting point for the prevention of sickness, diagnosis and cures. Afterwards I will give a necessary overview of things that while not exhaustive, will at least give an idea of the type of approach that this form of medicine follows. The most important concept, the one that every type of modern medicine would certainly have much to learn from, is the first one, prevention. The entire structure of TCM is based on prevention in that as specified in the initial phases of the book: “thinking of one’s own health only after getting sick is like thinking about the relations between states only after war has broken out”. In order to effectively prevent illness, it’s necessary to know their origins, starting from a few basic theoretical concepts that I’ll briefly present so as to indicate what’s needed to understand the structural approach. The concept of the Yin and Yang dichotomy has been part of Chinese culture for millennia and is still deeply rooted in it. It’s strength is in its simplicity, which is direct and rich in meaning, and has made it so that this concept has gone beyond a purely philosophical or metaphysical sphere to permeate all aspects of life, not least of which is the prevention, diagnosis and treatment of illnesses. Yin and Yang are opposites but at the same time they’re united: one cannot exist without the other. Without the concept of heat, the concept of cold cannot exist; the upward direction only makes sense in a downward one exists, and so on. Yang is associated with heat, fire and strength while Yin is associated with cold, water and weakness. When applied to TCM this concept has been transposed designating Yin and Yang organs, Yin and Yang bodily functions, Yin and Yang foods or medicines. For example, more generally, the body’s material is considered Yin while its functions are considered Yang: if their interdependent relationship fails for some reason, the opposites cannot be sustained and they’ll stop functioning regularly, giving rise to illnesses. The concepts of Yin and Yang are also very relative and one can transform into another based on the situation: for example a man is Yang while the woman is Yin; but if the man is facing a tiger he changes into the Yin part since the tiger represents the Yang. Even in medicine, in certain circumstances manifestations of Yin syndromes can transform into Yang and vice versa. For example in some acute feverish states (manifestations of heat connected with an excess of Qi Yang), signs of a fatal collapse of Qi Yang can manifest in a sudden lowering of body temperature tied to a marked lowering of heartbeat and an intense pallor (typical of Yin syndromes). The pathological changes are the transformation of a Yang syndrome into a Yin and in such cases an appropriate and timely intervention can bring about healing. Since the internal cause of the development of illness is to be found in the disharmony between Yin and Yang, almost every illness can generally be explained through the Yin – Yang theory. This theory is also the basis for treatments since the therapeutic principle must seek to reestablish the normal balance of opposites. After presenting the useful rules for keeping the body healthy, the book goes on to consider how to treat illnesses. Gather information directly from the patient about the symptoms. Preventing relapse through targeted physical exercise, nutrition and rules of conduct. A particular that merits attention is the role TCM places on the use of food and spices. Each food contains substances that, although often considered to be of low to really low impact by Western medicine, instead have a huge importance to our health conditions and ability to react to the stimulus from pathogenic factors, if nothing more because they are taken daily for a long or really long time. The book deeply analyzes the various properties of foods, both in relation to prevention as well as treating sickness. All these food properties are widespread in the Chinese people’s culture and for the most part each Chinese has a deep knowledge of them and uses them as a first form of treatment. Almost all Chinese, in fact, react to the first symptoms of a sickness by increasing the amount of hot water that they drink and making use of foods good for healing; the doctor will generally be consulted only later on, after a few days if symptoms are still present or if instead of going away or lessening they get worse. These self-treatment methods are more effective than you might think and in the majority of cases, for common illnesses they work perfectly. We must however keep in mind that these methods take time, since they are mainly based on the idea of giving the body the tools it needs to react; reactions may take a few days, weeks or much more depending on the type of problem. That last fact is what causes many Westerners to doubt their effectiveness since our concept of treatment is closely tied to the speed in which symptoms are eliminated. For example, if someone suffers with chronic headaches (an illness that is widespread in the West) they prefer to take a pill and 2 hours later they’re better, rather than rethinking their lifestyle or regularly applying the rules of conduct tied to the nature of the environment in which they live as a TCM doctor would recommend. The TCM therapy would be more effective since it addresses the causes and favors a total and lasting healing rather than acting on the symptoms (like a pill) and offering more than a momentary healing or relief from symptoms that will inevitably come back when the effect of the pill goes away or when the conditions that caused the symptoms return: but at that point all you have to do is take another pill. It’s not by chance that many “medicines” that are defined as “basic drugs”, are available without a prescription from a pharmacy and recently, (following the example of the USA) have even been made available at supermarkets so as to always have them on hand in case that symptoms reappear.